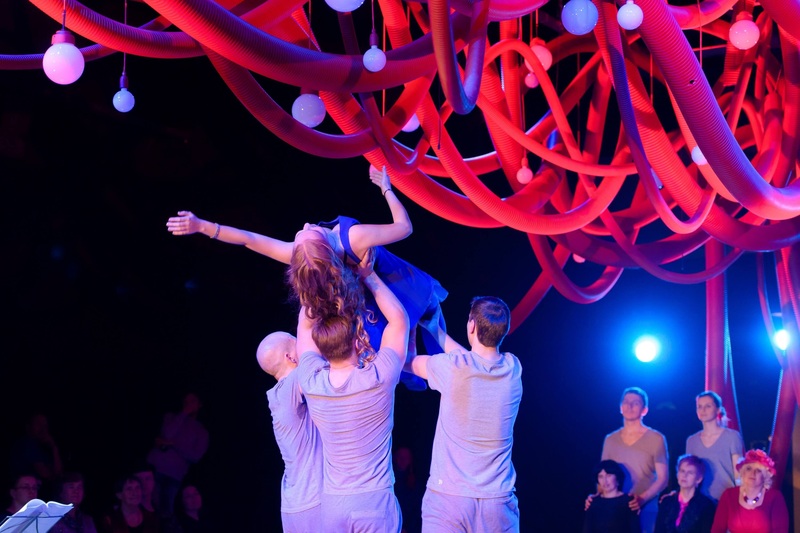 In Touch captures the real stories of people who are deafblind, blind, visually impaired, D/deaf, hard-of-hearing, sighted and hearing, told through an eclectic style of spoken, signed and physical theatre. The show explores the emotional rollercoaster of being human, how we each navigate our lives and what happens when different worlds collide and unite. In Touch is part of a long-term project between Inclusion Theatre Company and the Theatre of Nations, using the arts to connect people who are deafblind, sighted and hearing in different spaces. The original production, Touch-Ables, based on the real stories of the actors and their interactions with the world and the diaries of two women that are deafblind from 20th Century Russia, had its premiere in 2015 in Russia. The show was shown on leading stages in Moscow and St Petersburg, and was nominated for the prestigious Russian ‘Golden Mask’ Theatre Award. For this staging at the NT, Jenny Sealey will work with the company to develop the original production with actors who have sensory impairments from the original Russian show, plus British and French performers who are deafblind, sighted and hearing. In Touch is designed by Ekaterina Dzhadarova, with choreography by Evgeny Kulagin and Alexandra Rudik, produced by Viktoria Avdeeva. The cast includes Rustam Ahmadeev, Zara-Jayne Arnold, Arnaud Balard, Kirill Byrkin, Raji Gopalakrishnan, Alexey Gorelov, Roman Evdokimov, Alyona Kapustyan, Yuliya Khamitova, Olga Lapshina, Sophie Lebedeva, Vera Lyzhenkova, Irina Povolotskaya, Alexandra Rudik, Ekaterina Sakhno, Alexandr Silyanov, with reading by Evgeny Mironov.